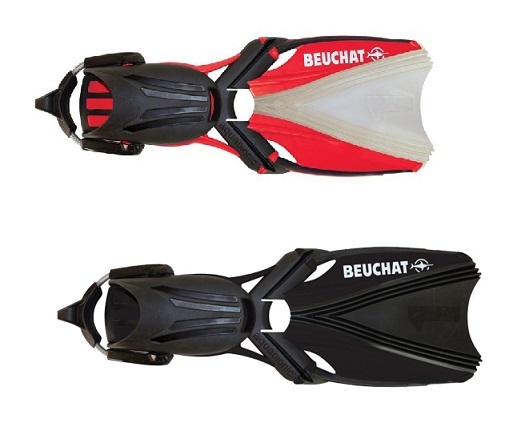 The design of the Beuchat Aquabionic OH Fins has been formulated from the time-tested patterns and strategies used in various marine mammals to develop Beuchat's most powerful and comfortable fin yet. 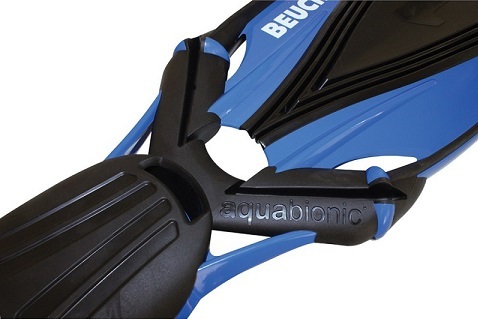 The exclusive WARP technology (Water Adapting Responsive Propulsion) forces dynamic cupping and spreading of the fins actuators and the central membrane which dynamically modulates the surface area of the fin and amplifies the diver's kick impulse. 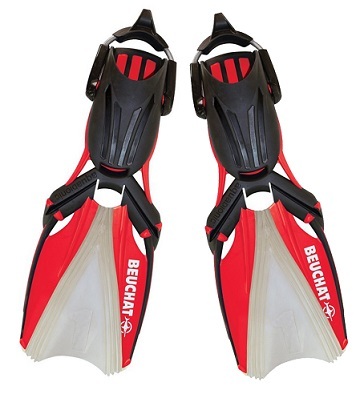 Perfect for all level's of divers the OH fins is adaptable for all kick styles including Flutter kicks, frog kicks, scull kicks etc. 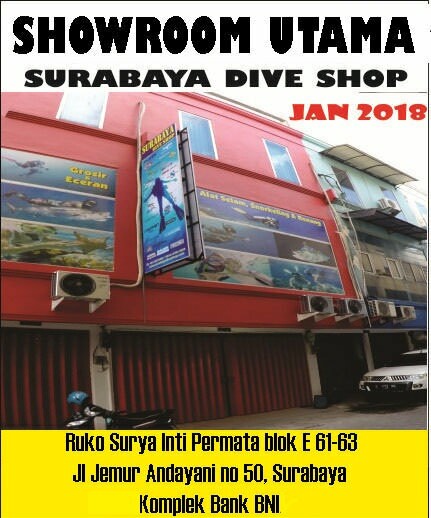 This fin can also be used in the toughest conditions allowing even a fully dressed diver to propel through the water with minimal demands.